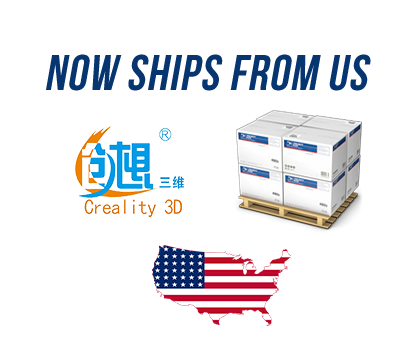 CR-10 S5 is now ships from US for US orders. Great printer, great service by 3DPrintersBay for the best price (as far as i researched). Awesome service and quick delivery to remote area in Western Australia..... every question answered within the day ! Now the printer is a great buy and I got it printing perfectly in less than an hour. ... only doing PLA at the moment and so far it's excellent.... going to make an enclosure for it out of foam panels soon to try different filament type's . CR10-S5 is really a great machine. 45hour print finished. Ran out of filament about 90% in. Filament detect sensor parked the hotend so I could add new spool and continue print.Excellent value for your money that this machine holds for your project. The 3d printer is very impressive. I got mine in 2 weeks and the 3dprintersbay service was really efficient and kind for all the inquiries. It is easy to build and easy to set up for the print! I hope I can get more experience and make my print more detailed.